Owning a classic car, sports car or simply a second family car in Sussex can be a real joy. That is, until you find yourself with nowhere to store it safely. There’s no space on your property, so you need an alternative option for car storage in Sussex. Somewhere safe, conveniently located and affordable. A service provider that knows what it means to provide stored cars with 24/7 security. Too much to ask for a low price? Not if you come to us for the very best car storage in London, Surrey, Sussex & Kent! Whether it’s protecting a classic car from the winter weather or simply looking to store a second car while not in use, we can help. We’re proud to offer a range of short and long-term car storage services in Sussex, keeping your vehicle pristine and protected. Our car storage services are ideal for those without sufficient storage space of their own, or who’d prefer not to pay to build or rent a garage. What makes our car storage services different is our commitment to flexibility. Whatever you need and whenever you need it, you won’t find a better deal for a better price anywhere. We understand the value our customers place on their vehicles and treat every car in our storage facility with the respect it deserves. So if you’re struggling with space and have a car to be taken care of, we’d be delighted to help – give us a call today to discuss any of our vehicle storage services. As convenient as your trailer (or trailers) may be, storing them safely can be quite the opposite. You don’t want to leave them exposed to the elements, but finding space for them indoors can be difficult. Perhaps impossible, if space is already at a premium. Trailer storage is a problem faced by many private and business drivers alike. But it doesn’t have to be – not if you come to us to discuss the ideal trailer storage solution for your needs. Our trailer storage services are designed for domestic, commercial and industrial needs at all levels. Whatever the size, specification and quantity of trailers you have, we’d be delighted to take care of them for you. We can offer travel trailer storage, winter storage of your summer gear, boat trailer storage and pretty much anything else you’ll ever need. Our state-of-the-art facility boasts not only round-the-clock CCTV, but 24/7 access (upon request) for total customer convenience. What’s more, all of our services are available on long and short-term contracts alike – all tailored to the needs of our customers. Along with unrivalled customer care, we work hard to keep costs at least 30% lower than market averages at all times. No frills, no garnish and no unnecessary extras. 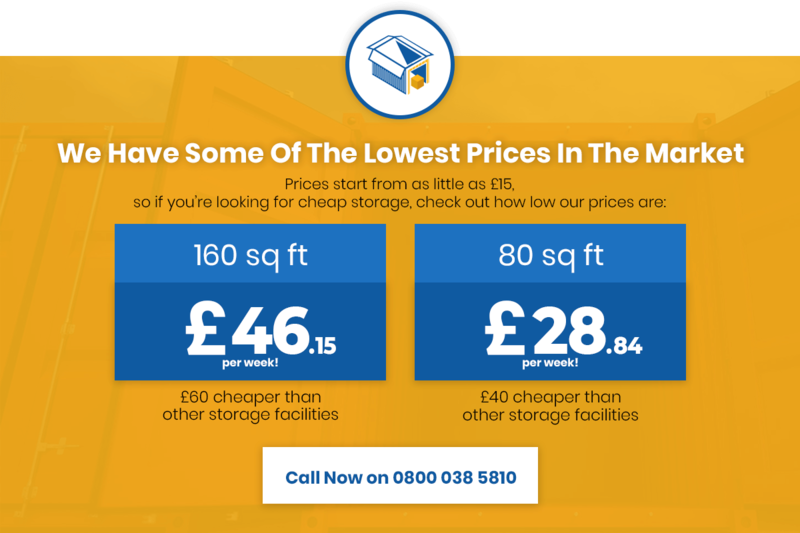 We focus on what really matters – premier trailer storage services for the lowest possible price. Living in the UK means facing the reality that not every season is boating season. As such, it’s inevitable that most recreational boats in the UK spend much of their time in storage. The question being – where and how to store you boat safely, conveniently and for the lowest possible price in Kent or Surrey? The answer is pretty simple – come to us and we’ll offer you an unbeatable deal! We’re proud to offer a comprehensive range of boat storage services for the lowest possible price. If you’d prefer not to pay extortionate marina storage prices, we’d love to hear from you. Along with ensuring your boat is sufficiently protected from the elements, our site is CCTV monitored 24/7 for total peace of mind. What’s more, there are no binding contracts or agreements to enter into at any time. We offer short and long-term boat storage services alike, tailored to the needs of our customers individually. And if you’d like to see how we do business, feel free to pop along beforehand for a full tour of our state-of-the-art facility. We understand and acknowledge the importance of well-maintained boat storage conditions. Which is why we guarantee safe and secure outdoor boat storage for total peace of mind. For more information or to discuss boat storage costs, give us a call or drop us an email today. Safe, secure and fully flexible – the cornerstones of our premier horse box storage services. As horse boxes are typically used on and off throughout the year, they spend much of their time in storage. Which given their size and nature can be an issue – especially where space is already at a premium. Finding an appropriate storage spot can be tricky, as can providing your horse boxes with the required protection and security. If looking to store your horse trailer safely, conveniently and affordable for any duration, we can help. We offer flexible horse box storage throughout the year for times when your box isn’t being used. Our site is covered by 24/7 CCTV for advanced security, with short and long-term storage solutions available. What’s more, we make it as easy as possible for our customers to come and go as they please. So whenever you need your horse boxes – even at short notice – we’ll ensure they’re ready for you to collect them. Along with our total customer support at all times, we offer all of the above with the guarantee of the lowest market prices. So whatever your horse box storage needs, we’d be delighted to hear from you to discuss the available options.